Alright y’all, it’s time to get really transparent & vulnerable for a few minutes. I have to share a little of what has been on my heart, and I also wanted to pass along a powerful blog post I stumbled upon on Facebook with a message I feel believers need to read. My heart is so.heavy. It’s a heaviness that is hard to put into words. It is heavy for our community. For our nation. For our world. For our children’s future. For my babies’ future. It feels overwhelming to me. It makes me sad, angry, discouraged, and AFRAID. And honestly, it feels helpless and hopeless sometimes. On one hand I want to have a house full of little Baby Butler’s who are difference makers & champions for Christ, but at the same time, it feels scary to bring them into this mess. Y’all, we live in a scary world. But…Praise the Lord, The Bible tells us that God did not call us to live in fear. He is WITH us and FOR us. He will FIGHT for us. He will never leave nor forsake us. 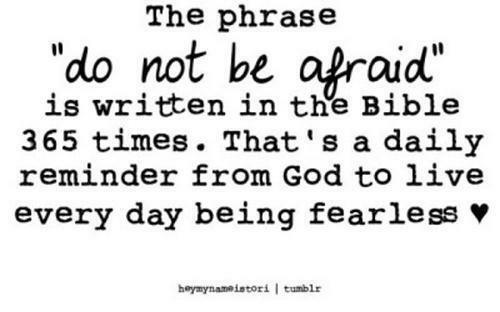 We do not have to be afraid or worry. And because of what Jesus did for us on the cross, we DO have hope. Just like Jeremiah 29:11 says, “He has plans to prosper and not harm us; plans to give us hope and a future.” Knowing where I will spend eternity definitely gives a peace that surpasses all understanding, and I am so thankful for that. As much as we try to guard our hearts & minds about what we allow in, and although I make an effort to choose to be optimistic and positive, I feel like it’s selfish to take “oblivion” route when it comes to what is going on in our nation and our world. Even without cable and the news, we make an effort to educate ourselves on what is going on around us (even if it sometimes feels depressing and scary). Jonathan definitely encourages me & helps me to stay informed because he’s really passionate about politics & current events. He does a great job keeping up with everything and a lot of times relays that to me. To be perfectly honest, I would much rather stick my head in the sand. I guess I shouldn’t admit that, but it’s true. In fact, I have done that for the majority of my life. But I know that although it might make me “feel better” to live in my little bubble, it won’t help anything. For a long time, I thought it was okay to just choose naivety. I now feel like that was selfish and immature. As a believer, I have the most POWERFUL weapon there is at my disposal, and I was too self-absorbed to recognize the need to use it for others. To intercede on their behalf. (FYI: Talking about prayer.) I know sometimes it feels so far removed. Sometimes it doesn’t affect us directly, but I pray we always have a heart that is burdened for others, and especially for the lost. So many times we catch ourselves saying statements like “All we can do is pray” (as if that is some small gesture- HELLLLLLLO, we have the God of the universe on our side! ), or “I’ll pray for you/them” (innocently enough, but a false claim because we are too busy or forget). Y’all, our NATION & our WORLD are in desperate need of our prayers. What if the church hit the altar, got on our knees and faces before the Lord, and in unity asked for healing? peace? God’s hand? protection? restoration? salvation? There are so many who are so desperate. Honestly, sometimes when I look around, I feel guilty over our own abundance. We have so much. We are so abundantly blessed. When I think of how deeply so many across the world are hurting, it just makes me feel sick and burdened for them. I truly feel like we are getting closer and closer to Jesus coming back. The Bible relates it to birthing pains- contractions get closer together and more painful as you get closer to birth. Well, the signs the Bible warns of….more natural disasters, talks and rumors of wars, false prophets claiming to be the messiah…they are like those very birth pains the Bible describes. There is no denying they are all becoming more frequent and closer together. More than anything, I wanted to share this because I am sure there are more of you who can relate and feel this way. Who feel stuck, and want to help but don’t know how. I would love to sit here and tell you we (me & Jon) are doing our best to make an impact this world and advance HIS kingdom, but the truth is, we aren’t. We aren’t REALLY doing our very best. We don’t pray like we should, and that is going to change. I know God hears the prayers of the saints, and I want to challenge you to JOIN us in praying. Lift our leaders, our nation, and our world in prayer. Daily, consistent, heartfelt, fervent prayer. We CAN do something. Did you know that when Paul wrote the letter to Ephesus and described the Armor of God in Ephesians 6:13-18, there are only two weapons listed in that armor? The belt of truth, breastplate or righteousness, feet of readiness, shield of faith, & helmet of salvation were all created as methods of DEFENSE- to defend us from harm. The weapons of OFFENSE described in that passage are the Sword of the Spirit (clearly identified as the Word of God) and prayer in the Spirit. So there you have it. God’s Word & prayer. Those are our weapons to fight for others who can’t fight for themselves. To me, I interpret that as praying God’s Word over these conflicts, situations, & circumstances. I also wanted to share this because I know there may be some of you reading this that may not have that hope of an eternity in Heaven. If you do not know Jesus as your Savior, and if you do not have a personal relationship…If you can’t remember a time you asked the Lord into your heart, to forgive you of your sins, and to be the Lord and Savior of your life…If you don’t know that peace I am talking about…If you don’t know with 100% certainty where you would spend eternity if Heaven forbid you were to die tonight, please e-mail me. I would love to share more with you & talk to you about it. I have also struggled with those same fears in regards to my son. Bringing a child into this world can be pretty scary! Praying for him every day sure helps! I want to move to an island too, because there is so much horribleness in the world, today. Isis scares me, and the nonchalant way our government and the people of our nation views them just terrifies me for our future. Jesus coming back does seem closer, because our world seems so broken. I need to remember to pray more often for our world. My husband and I just had this conversation 2 nights ago. So weird you would blog about it now...I am the same way, less I know, better off I am. At least that's what I tell myself day in and day out. My husband brought it to my attention he believes Jesus is coming back soon, all the signs are here and its only a matter of time. Things are getting bad, very bad. Like you said we may have to move to a secret location be self sustaining and stay hidden. We were discussing having another baby, but do we need to be so selfish bringing another child into such a damned world? It is so scary. All the verses you wrote on fear helped me a lot. Thank you. You must have felt the same heaviness in your heart that I have felt this week. Thank you again. Thank you for this! This has been on my heart as well! It's so scary for our babies! Love your heart and desire to share His truth! My heart goes out to you for your concerns. From reading your blog I know you are a very postive person and dont normally have posts like this. I will pray not only for our nation but for us as believers. That you may remain strong and optimistic and remember from everything that you see on the news that God is with you. Always. Its also comforting to keep in perspective, we have always had problems, wars, and health scares in our history. What makes it worse now is that there is more media coverage of all it. 50 years ago people had the same concerns, but no one knew that things were that bad because the news and radio couldn't cover things the way they do now. So while our nation has always had problems, people just werent as aware as they are now. Keep that in mind. While it is great to be able to know everything that is going on in the world, sometimes it makes things worse. Remember for everything bad happening, there are also some amazing things happening in the world today through God. Unfortunately, those things just never to be as news worthy. Keeping you in my prayers. Very eye opening post for myself as I tend to hide from the problems of our world and nation in my own little bubble. My husband too keeps ups with all the political things going on, but I don't because I think it will be just one more thing to cause me to worry. The post you linked and the reference to the letter Paul wrote to Corinth from Asia opened my eyes to what I need to be doing. PRAYING for the nations!! And trusting HIM! I too will join with you, as a fellow believer in Christ to pray for the world and nation! This is exactly how I have been feeling lately. Thank you so much for the inspiration and wonderful versus! !